When you can get them, vital records can play a significant role in researching your ancestors. Vitals are generally comprised of three types of records: birth records, marriage records and death records. Genealogists love these records because vitals describe the very events they are interested in. For instance, a death record usually contains the name of the deceased, age, marital status, cause of death, date and place of death. This type of information is pure gold to a family researcher. The availability of vitals is limited to time periods when the records were being created, which varies by state. Before a certain date, vital records were not required to be created and most likely do not exist. Fees and bureaucratic rules by holders of the records can also be an impediment to obtaining them. Some states require that you provide proof of your identity and your relationship to the record subject when you make your document request. Requirements like these are aimed at curbing identity theft and other abuses, but present roadblocks to genealogists. The biggest problem for most genealogists is that the specific date and location of the event must be known in order to submit a record request. You can’t ask the record holding agency to search their archive for your record, it is just not their job to do research for you. Once you are sure of the date and location of your ancestors' vital event, follow the simple steps below to order a hard-copy of their records. First you need to know if your event happened at a time when records were being recorded. It is a complete waste of resources to order a record that does not exist. Thankfully, the folks at Family Tree Magazine have created a handy genealogy vital records chart listing the dates that vitals officially started being kept by each state. Download the chart using the link below and check your date against the chart to gain confidence that a record does exist. Next, you need to request a copy of the original record you are seeking. One of the best sites for guidance on locating vital records is VitalRec.com. This site provides links to the state and county resources responsible for issuing records. Since information on fees, regulations and addresses of where to write are subject to change, getting information directly from the record holders is preferable over using a static source or reference book. Wait for the record to arrive in the mail. Keep in mind that these records online can have errors in them. 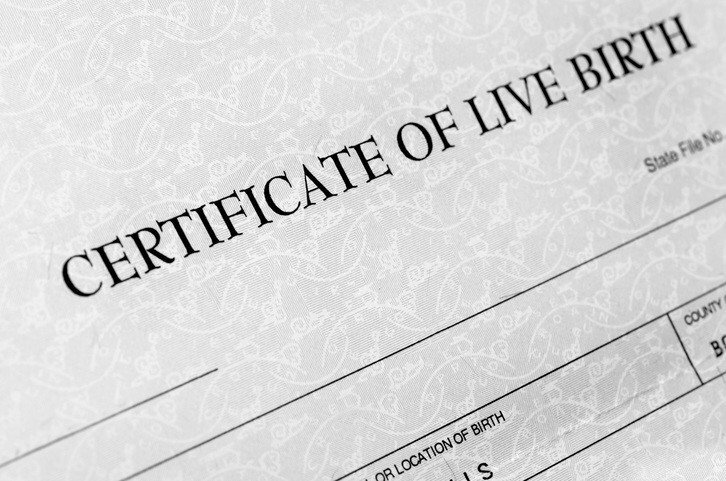 Since parents generally provide the information for a birth certificate, they are typically accurate. Marriage records should be trustworthy as they are also a primary source. Death certificate information, however, is provided by an informant who may or may not have first-hand knowledge of the decedent. Vitals should a part of any well researched family genealogy as they are critical to validating dates and other details of significant life events. Finding these records can be a bit tricky, but with a little effort and cost, they can be had.